Andy Rubin’s Essential smartphone missed its June release date in the US and suffered a bit of a blow in recent days after its VP of marketing, Brian Wallace, left the company. But despite these setbacks they’re already working to launch the upcoming flagship phone in more markets — specifically the UK, mainland Europe and Japan. According to a report by the Financial Times, the company is already in talks with UK carriers including EE around an exclusivity deal. There was no mention of a launch time frame. Over in the US, Sprint is confirmed to be the exclusive launch partner for the near bezel-less, stock Android smartphone. While the company missed its launch target of June, today's FT report quotes Essential COO Niccolo de Masi as saying the release is "iminent." Essential’s first smartphone will feature a Qualcomm Snapdragon 835 SoC, 4GB of RAM, USB Type-C, a 3040mAh battery, and 128GB of UFS 2.0 internal storage. Unlike many of today’s aluminum phones, the device is made of titanium and ceramic, and should be able to withstand accidental falls and bumps better than most. It also looks sleek, with a conspicuous absence of logos. Probably the most noticeable feature is that 5.7-inch, 2560 x 1312 QHD (503 PPI) screen. Like most modern flagships, the 19:10 display has an edge-to-edge design, but it goes all the way to the top, wrapping itself around the front-facing camera. As with Motorola’s Moto Mods, you can customize the handset by attaching accessories; in this case, they stick to the magnetic pins on its back. One of the add-ons is a 360-degree camera that can shoot spherical UHD video at 30 fps. There’s also a cradle-style charging dock available. Other features include Gorilla Glass 5, Android Nougat 7.1.1, a rear fingerprint sensor, Bluetooth 5.0, and no bloatware. 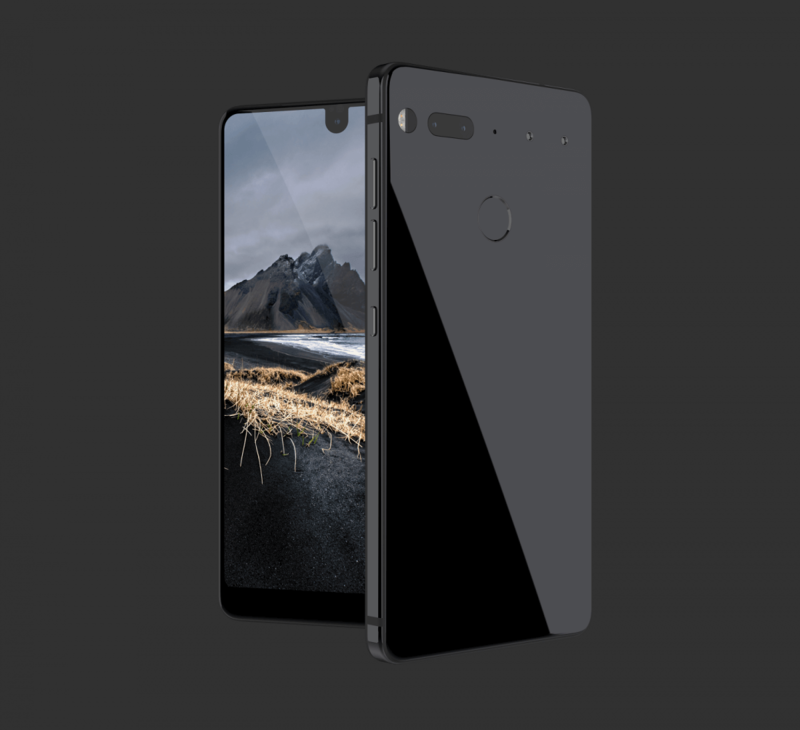 The Essential phone is available to pre-order for $699 or $749 if you want the camera accessory. No word yet on when it’ll ship.